These pages contain all the information gathered for the extended family of Holmes à Court. Click on a surname below to see the detail in family journal format. In addition a subset of the data can be viewed in descendant list and box chart format. The site also has information relating to the villages of Heytesbury, Knook and Tytherington in Wiltshire (England), and the Isle of Wight. 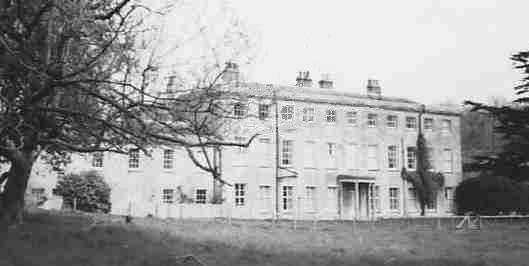 The name of the family title was taken from Heytesbury. All the research was carried out by Polly Holmes à Court, who sadly passed away in 2014 after a long illness. The site will be left in tribute to Polly, but is unlikely to be updated significantly since Polly was the genealogist in the family. Any additions or corrections are still welcome, but we may not be able to answer any queries. Thank you to everyone who has contributed information. All dates are displayed in UK format, i.e. dd/mm/yyyy. Please note that all the detailed family pages are generated automatically, so page names will change after each update of the site. Therefore please do not link to specific pages as they will become out of date quite quickly. It is safer to link to this home page.